As we continue to host Des Moines European Heritage Association programs and get ready to produce Christkindlmarket Des Moines 2018, we’re finding a lot of memorable moments along the way. We’re grateful to have Gail’s Photography and Designs to capture those for us as our 2018 Photography Sponsor. Gail is looking forward to looking at the unique gifts that are offered. Her involvement with Christkindlmarket Des Moines was inspired by her Italian heritage and passion for learning about other cultures. Take a look at Gail’s Facebook Fan Page to see her great work. You’ll see Gail at all of our 2018 programs as well! Grand View University provides meeting space for all Des Moines European Heritage Association and Christkindlmarket Des Moines meetings. This has been a great help to our organization. 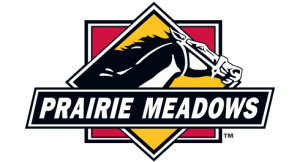 We love and appreciate all of our sponsors, but would like to tell you a little bit more about Grand View University. Grand View University has public meeting space available. If you would like to schedule an event or meeting, they would be pleased to host you. They have classrooms, meeting rooms, performances areas, and other rooms available for use to support the community and its events when not serving the University’s events. As well as available space to rent, they have a professional caterer on-site. If your event needs those accommodations, they have an additional form you can fill out to request this service. They also have a new Student Center which allows for expanded dining, performance, and meeting facilities. If you would like to book their public space directly from this page, here are a few hyperlinks that lead to their facility request forms. We hope you enjoy their public space as much as we do! 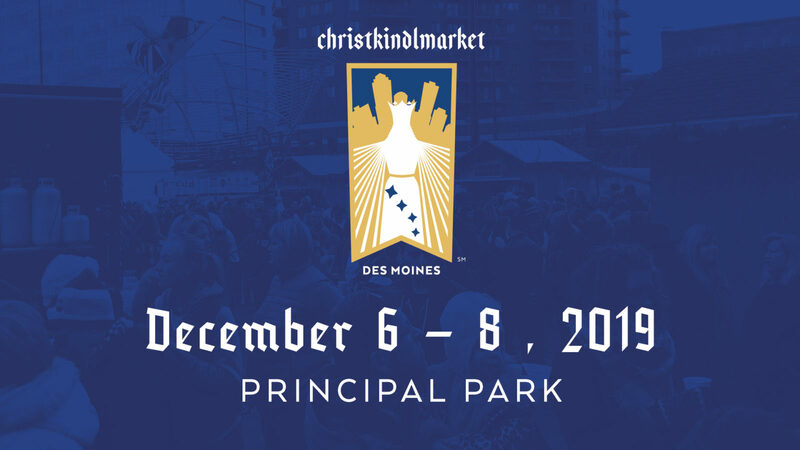 Des Moines European Heritage Association invites you to become a vendor at the 3rd Annual Christkindlmarket Des Moines taking place November 30 – December 2, 2018, at Cowles Commons. In 2017, this cultural experience attracted 40,000 visitors. Wild Cherry Spoon Co has vended across the Midwest. From popular indie craft markets in Chicago to small first time shows. Christkindlmarket Des Moines blew them all away in terms of revenue, participation, crowd size, after show sales, interesting things to see and do at the market, and volunteer support. Word of advice to vendors; plan for your wildest sales expectations and then bring 4x the inventory…it sells out fast! In addition to food and gift/specialty item vendors, we seek vendors that can provide demonstrations. I was especially impressed with the advertising for Christkindlmarket Des Moines—I think the organizers did a great job of getting the word out through many different avenues. The volunteers were very friendly and helpful. The booths made for a great ambience, and we loved the signs!. Christkindlmarket is a Cultural Enrichment grant recipient from Bravo! Bravo Greater Des Moines strives to have a community where arts, culture, and heritage is spread across Iowa. You can find their mission, vision, and values on their website. By spreading culture and arts across Iowa, they add to a more vibrant and exciting life in our community as well as diversity. These grants also help heritage organizations draw more tourism and economic activity in our community. Bravo provides support to 56 organizations in the central Iowa region. The mission of Bravo Greater Des Moines is to provide reliable funding and support that strengthens arts, culture and heritage organizations serving Greater Des Moines. Bravo Greater Des Moines envisions a community where arts, culture and heritage organizations across central Iowa are recognized and supported as vital contributors to the region’s vibrant quality of life. Some of the values Bravo encourages most in the community is to be collaborative, inclusive, accountable, regional, opportunistic, and passionate. Bravo uses collaboration and inclusion to partner communities with organizations such as Des Moines European Heritage Association. The long-term goal is to have success in Iowa for arts and culture outreach. 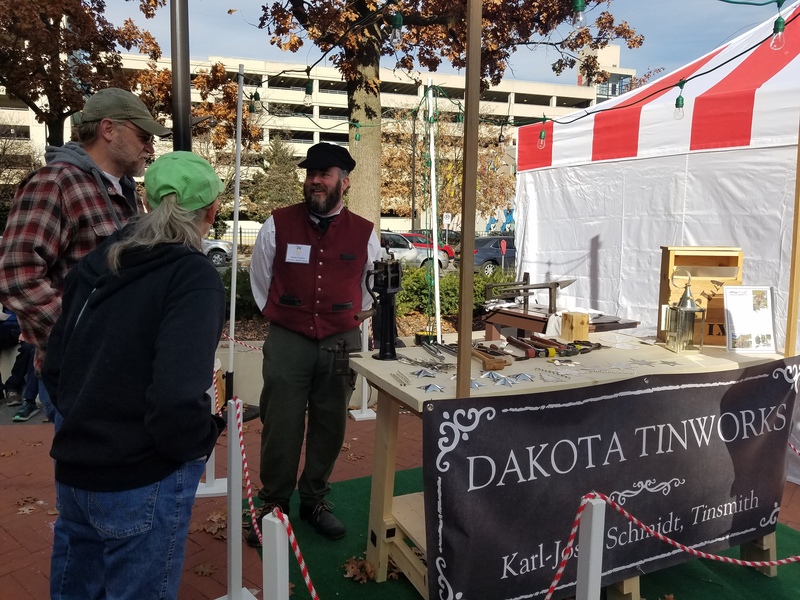 The Cultural Enrichment Grant provides operating support to arts, culture, and heritage organizations in Iowa which are three of of the main things Christkindlmarket Des Moines brings to central Iowa! This funding supports investments in growing our community culture and stability. 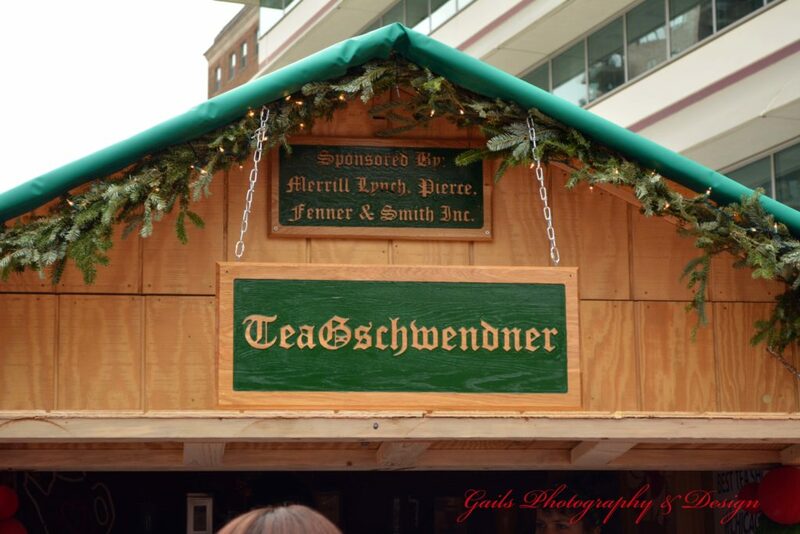 Christkindlmarket Des Moines is happy to receive this grant, and continues to grow our event and outreach! Centennial Warehousing Corporation has graciously agreed to continue to donate storage space for our wooden vendor stalls. After working with a member of the Des Moines Woodworkers Association, we were able to rework the design so when torn down, each stall fits on a double-wide pallet which can be easily moved around the warehouse with the help of a forklift. We have worked with Waukee High School Industrial Arts Students to build our traditional wooden vendor stalls and will continue to work with Johnston High School on future stalls. As a non-profit, community partners are extremely important. Many thanks to Centennial Warehousing Corporation! Centennial Warehousing is a full service logistics company. 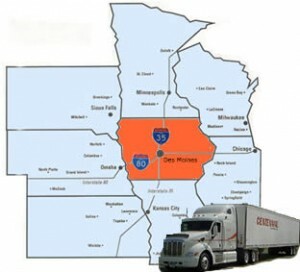 Services range from a full service warehouse, over the road trucking, regional distribution, and freight brokerage. We have our own fleet of semi-trucks and 53 ft. air ride trailers driven by our own professional drivers. Tim’s memory, love and spirit lives on today through the lives of the people he touched. He set the example that each and every one of us are capable of changing the world locally and globally through living compassionately, demonstrating courage, and caring about others. Even during his courageous battle with Pancreatic Cancer at age 17, Tim lived those virtues. Today those “tisms” continue to inspire his friends and family to keep paying his dream forward. The core purpose of the TYH Humanitarian Foundation is to continue Tim’s legacy of caring and compassion for others. The Foundation partners with various research entities, humanitarian organizations and civic groups whose own mission reflect the concept of “Team Humanity”. We know we are all part of a bigger world and must work together to make it better. Consider supporting the TYH Humanitarian Foundation by bidding on their tree at Christkindlemarket Des Moines’ 2nd Annual Silent Tree Auction December 1st-3rd in Cowles Commons. For more information, please visit the TYH Humanitarian Foundation website. 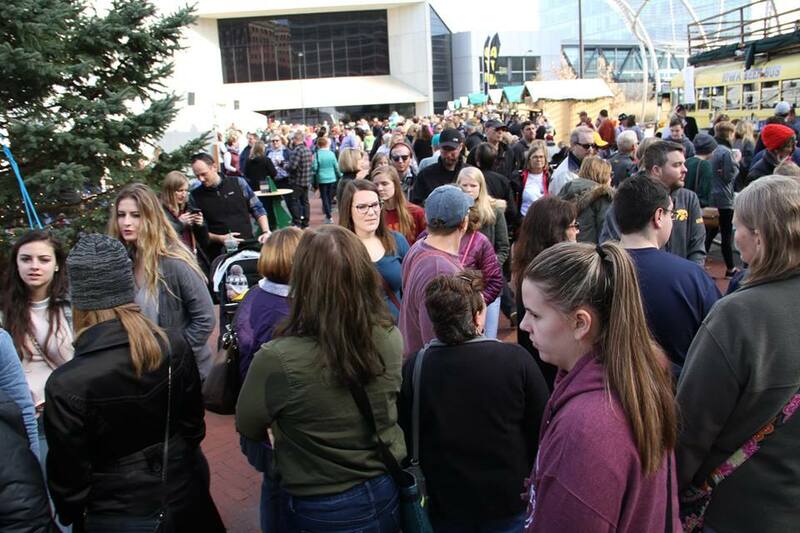 Thanks to the generous support of the Pattie and Jim Cownie Charitable Fund and the Deb and Paul Hayes charitable fund, along with a number of donors and sponsors, we’re able to offer Christkindlmarket Des Moines free to our community. 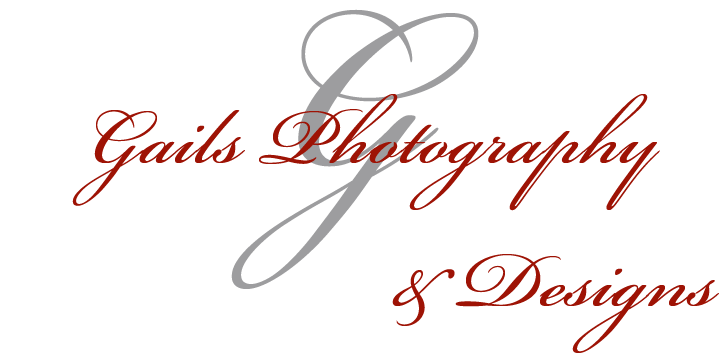 The mission of the Italian American Cultural Center of Iowa is to promote, preserve and provide education about all aspects of the rich Italian-American culture to the Des Moines metropolitan area and the State of Iowa. In addition to our educational museum, the Center offers a variety of opportunities for individuals as well as groups to take part in programs and events at the Center. Classes in language, cooking and folk dancing are offered on a regular basis. Italian travel and cooking videos are shown as well as Italian movies. Group tours are given to students as well as adults. The Center also offers self-planned tours of Italy as well as trips to various Italian festivals around the country. Consider supporting the Italian American Cultural Center of Iowa by bidding on their tree at Christkindlemarket Des Moines’ 2nd Annual Silent Tree Auction December 1st-3rd in Cowles Commons. For more information, please visit the Italian American Cultural Center of Iowa website. Confluence Brewing Company brewing a spiced beer called St. Nick’s Christkindlbier. We’ll have a firkin tapping on Friday of the market at noon. The beer will be on tap while supplies last. Grab a survey at the Information Hut. Return the completed survey to the Information Hut for a chance to win a $100 Visa Gift Card. 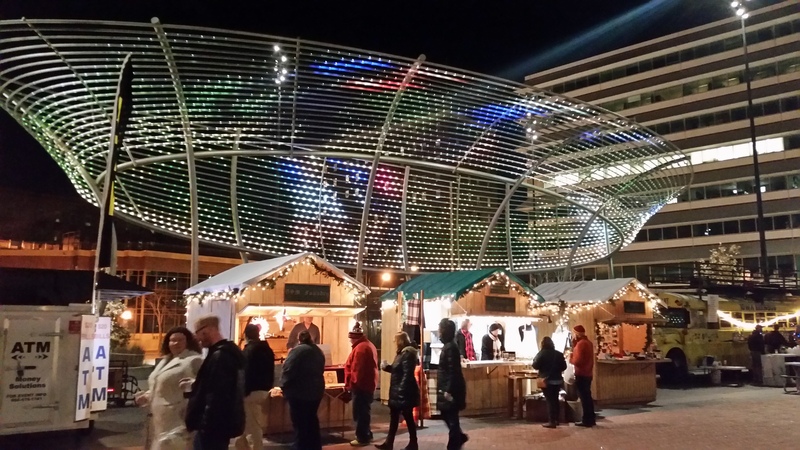 Christkindlmarket Des Moines will be held at Cowles Commons in downtown Des Moines (221 Walnut St). For directions to the Market, please click here. Parking downtown is FREE on the weekends. Beginning at 6 a.m. on Saturday, parking in all City ramps are free of charge. Parking at meters is free all weekend, as well as after 6 p.m. during the week. The following City of Des Moines parking ramps are near Cowles Commons. For additional parking ramps, visit http://www.downtowndesmoines.com/park. The following parking ramps will be charging “event parking” rates ($8/day – $10/day) on Friday, December 2 and Saturday, December 3 due to performances at the Civic Center.